We've assembled a list of many of the best Hancock Park summer camps below. Some are based in Hancock Park while others serve kids and families living in Hancock Park and the surrounding community. You might recognize some of the names on this list. Others may be new to you. In any case, you can't go wrong choosing any of the camps included here. They're loads of fun! 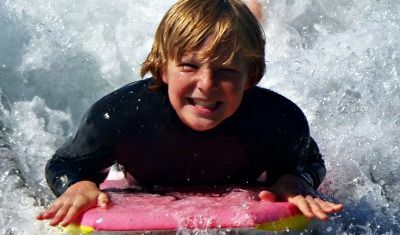 With free transportation from Third Street School for Hancock Park kids and teens and a wide array of safe, fun and instructional aquatic sports activities running the gamut from surfing lessons to boogie boarding to boating to beach hikes, Aloha Beach Camp has offered local children amazing summer camp experiences since 1999. The camp is having an open house on March 24 where you can meet their staff and learn all about this year's camp program. Beach and ocean-loving kids won't want to miss this top-notch day camp program. 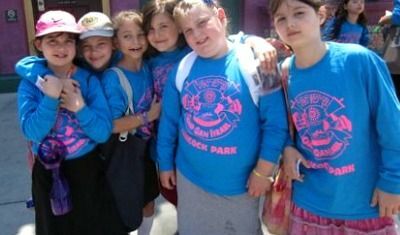 From sports and games to baking and field trips, Camp Gan Israel of Hancock Park has it all! Last we checked, they even had available bus service; not having to drive your kids to camp yourself makes things super-convenient for parents! We wouldn't hesitate for a moment to send our own kids to Camp Super Duper. With a hands-on staff, small groups, camp songs, swimming activities, silly theme days (like crazy hat and backward t-shirt days) and much more, this camp offers tons of fun for everyone! Got Game Camp caught our eye because much of their program is based on camper free-choice and individual interest programming. Kids can customize their activities and spend their days doing the things they like to do rather than stick to a pre-planned schedule set by the camp. The camp is located at Hancock Park Elementary School making camper pick-up and drop- off a breeze. 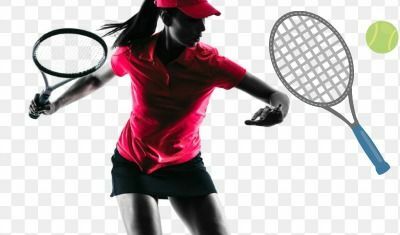 Kids who want to develop or improve their tennis skills (or who just love tennis!) won't want to miss the Hancock Park Tennis Camp. The camp takes place at the Los Angeles Tennis Club in Hancock Park where all tennis activities are taught be experienced professionals who have your child's safety and skill-development in mind. Half-day, full-day, and weekly registration options are available. Tennis attire is required so if you have any questions about what to wear or bring, check with the camp director in advance. 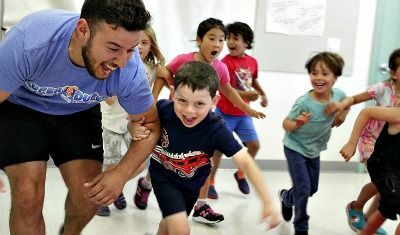 Marlborough Summer School offers a 5-week program in June and July with a wide variety of enriching program and activities for boys and girls from grades K through 9. 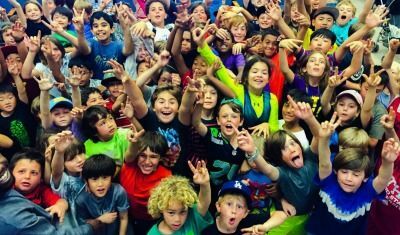 While technically a summer "school," kids will love this program nonetheless because it's set up in such a manner that the activities offered (including arts and crafts, sports, science programs and more) resemble a quality camp experience. This program is located in the heart of Hancock Park. If your child has a reading problem that needs correction -- or you just want them to improve their reading skills or keep their minds sharp during the summer -- a summer reading camp could be your solution. 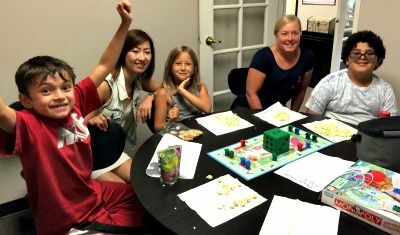 Some parents whose kids attended Pride Learning Center Tutoring Camp last year said their kids' reading skills improved an entire grade level over a matter of weeks. The program is located at Hope Lutheran Church, Hancock Park. Wilshire Blvd. 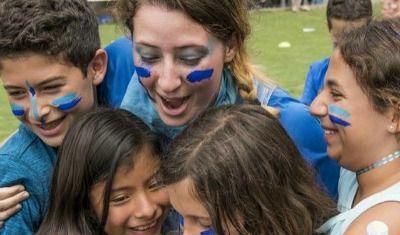 Temple Camps offers two overnight sleepaway camp programs (Camp Hess Kramer and Gindling Hilltop Camp) where Hancock Park kids can connect with their Jewish faith, participate in fun, enriching activities and make new friends. Available activities include high and low ropes course challenges (a camper favorite! ), woodworking, swimming, archery and more. Friday night Shabbat is always a big hit. While Wilshire Blvd. Temple Camps enjoys a pristine Malibu location during the summertime, off-season headquarters are located in Hancock Park.